Did you know that the dealership you do business with plays a major role in how much you spend? Whether you’re interested in buying a new, used, or certified pre-owned vehicle, when you visit a reputable dealer near Woodmere, LA, you’ll find affordable Nissan Murano pricing. Best of all, you don’t ever have to negotiate. Perhaps the one thing that people dread the most when car shopping is going through a negotiation process. However, by working with a seasoned salesperson at a trusted dealership close to Woodmere, LA, you don’t have to haggle over price. Instead, this dealer sets all prices competitively, meaning the professional who assists you will also give you the best offer possible. People also dread feeling pressured to make a quick decision. Along with affordable Nissan Murano pricing, a seasoned salesperson will patiently answer your questions and provide information to help you find your dream vehicle. That way, you can take as much time as you need to look at and test-drive different Muranos without feeling backed into a corner. Just because you find a dealership that offers low Nissan Murano pricing doesn’t mean you have to compromise on quality. When it comes to crossover SUVs, this one has a lot to offer. For one thing, all years have an attractive exterior body profile while the interior boasts a luxurious look and feel, especially on the 2019 lineup. When visiting a respected dealership near Woodmere, LA, you’ll have the opportunity to take one or more trims for a test drive so you can feel just how smooth and quiet the Murano is. In fact, the superior design blocks out distracting outside noise, making it possible to carry on a conversation with people in the rear seats without raising your voice. At a dealership close to Woodmere, LA, you can learn even more about the new Safety Shield 360 system on the 2019 Murano, a suite of state-of-the-art aids designed to keep both drivers and passengers safe. Included are high beam assist, rear cross-traffic alert, automatic emergency braking, and pedestrian detection. It also has lane departure warning and rear automatic braking. 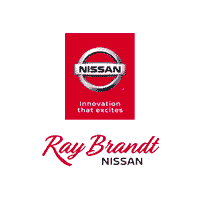 At Ray Brandt Nissan located in Harvey, only minutes from Woodmere, LA, we take immense pride in always putting the customer first. We have an experienced sales team, in-house financing, on-site service, and of course, incredibly affordable prices. Call or visit us today.